Assam Government’s decision to ban chalani (imported) fishes that come from Andhra Pradesh and Kanpur, may not have gone down well with thousands of dependents, who live by it, and die by it. 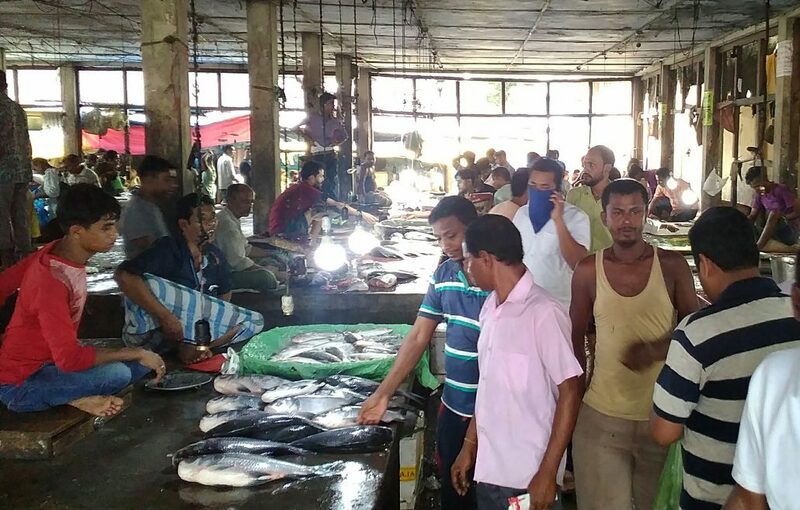 The ban, which has entered its second day today, could not make much of an impact, in fish-dish mongers of Silchar, for, chalani fishes were seen being sold in Silchar’s biggest market – Fatak Bazaar. One fish seller who was selling chalani fishes, on condition of anonymity, said, “What can we do? We are still left with a huge pile of stocks. If we don’t sell it, who is going to bear the cost of a huge loss”? Durgacharan Das, another fish seller in the same market, welcomed the decision of the government, but acknowledged the fact that it is going to hit the market severely to pass by 10 days of ban, as imposed by the state government. Secretary of the Silchar’s Wholesale Fish Market, Bhaskar Das, could not control his anger and emotions when asked about the impact that this ban is going to bring among the fish crazy communities of Silchar. Speaking to Northeast Now, he compared the ban to that of ‘demonetization’, for the state government did not give even seven days time, before putting this ban in place. He further said, “For the last 30 to 40 years, fishes from Andhra Pradesh are coming to Silchar’s market, than why all of a sudden it is being said that these fishes are injected with formalin and checks are being done”. “In the whole of Assam, chalani fishes worth crores, are stacked up, and who is going to bear the losses for it,” questioned Bhaskar Das.